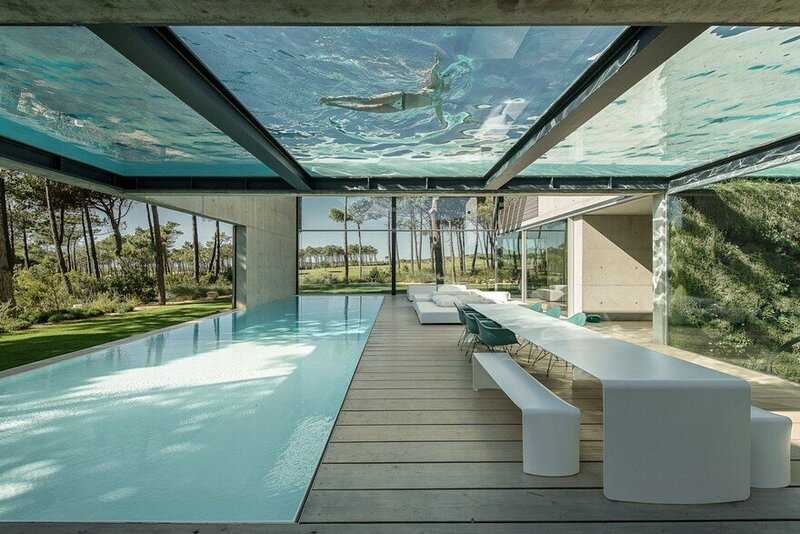 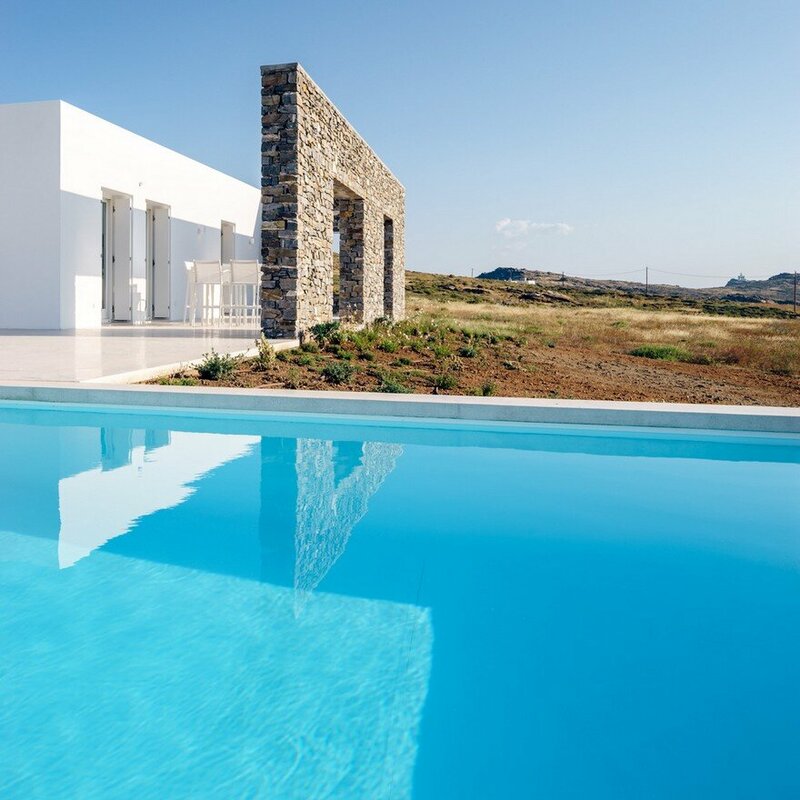 The complex consists of two buildings with a shared open-air space and a swimming-pool. 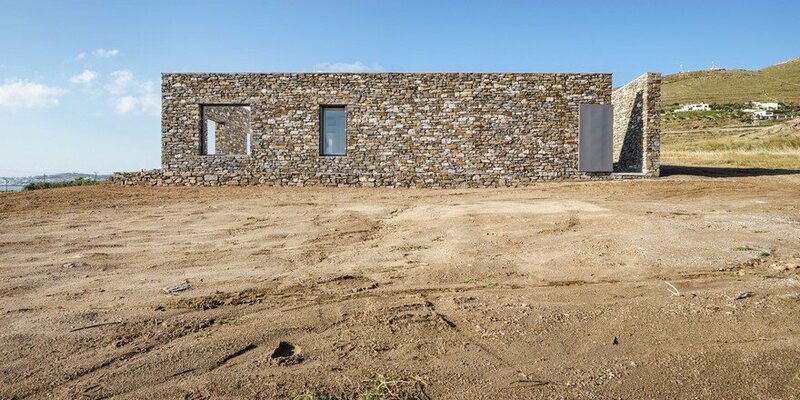 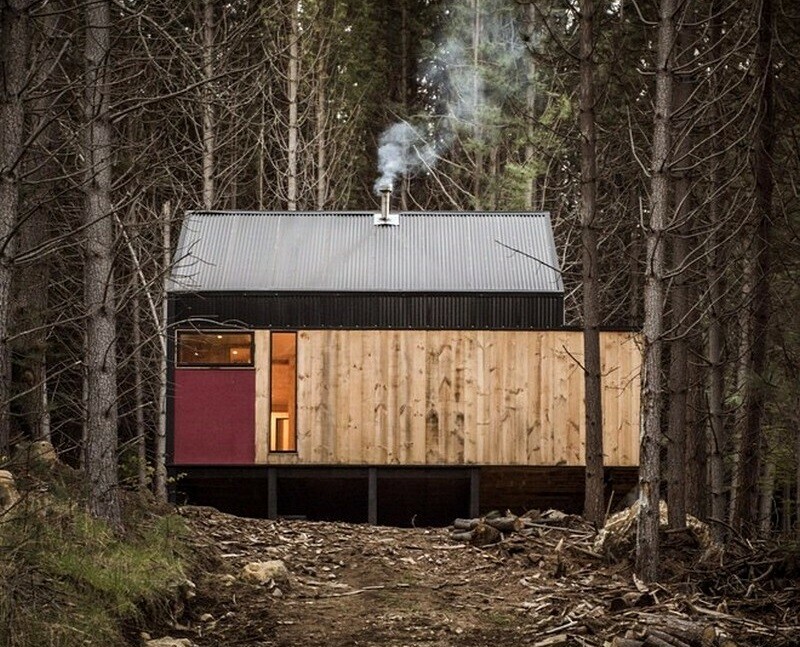 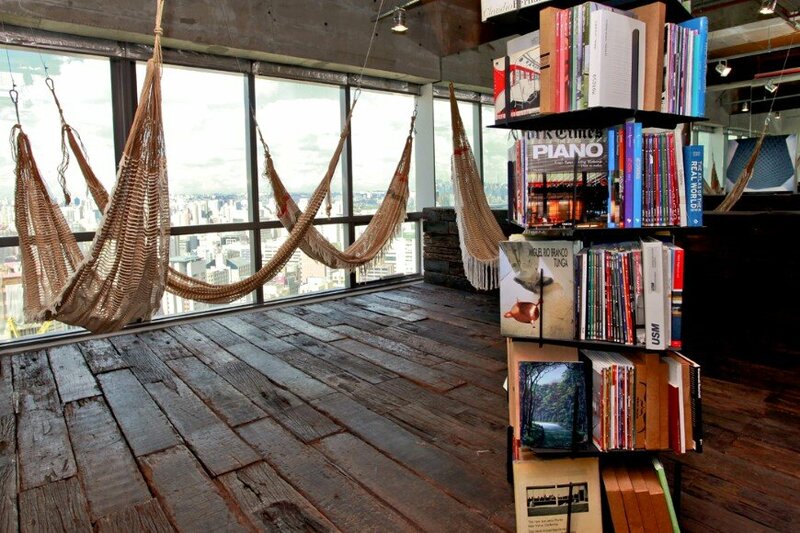 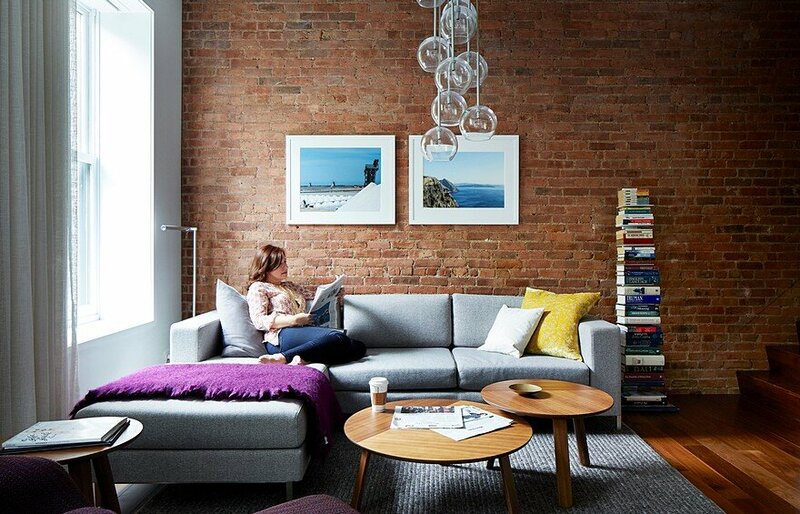 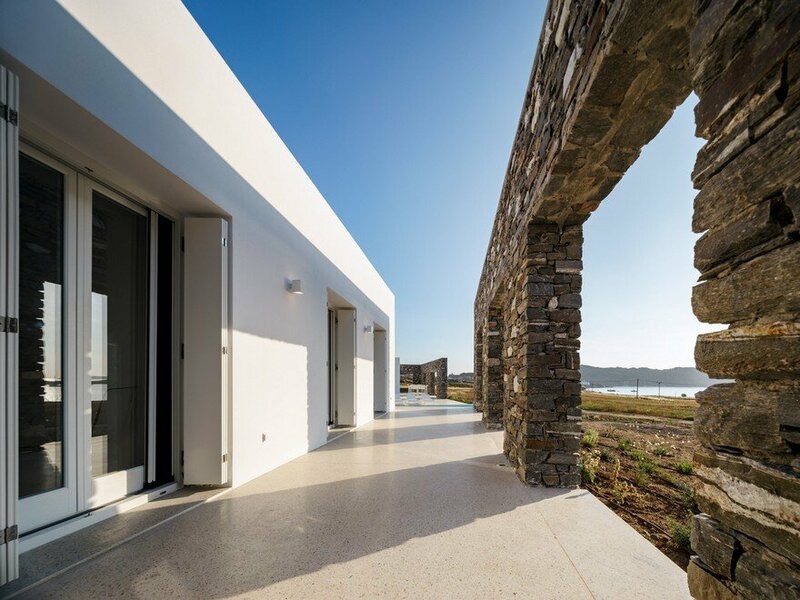 The large mass of a single building is broken down into two and is harmoniously adapted to the terrain. 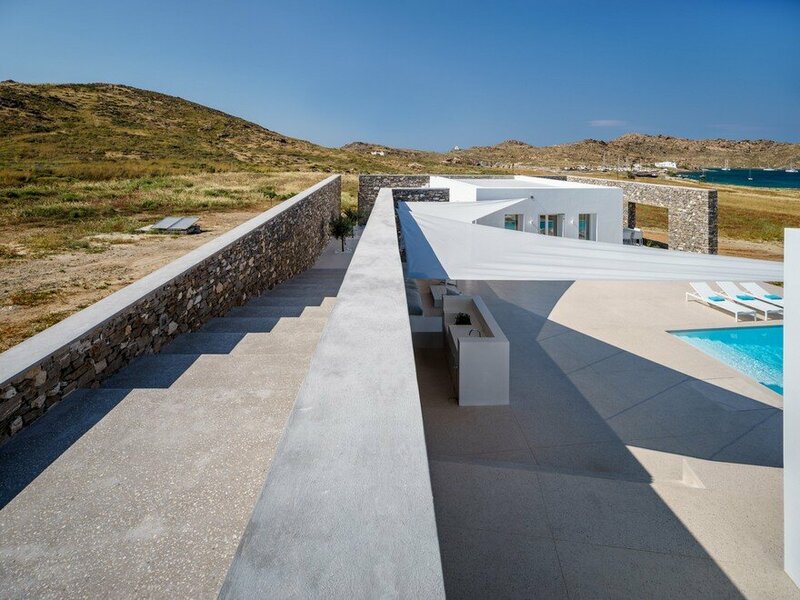 The masses are laid out facing the view, and the central courtyard has been created between them, adapted to the slope of the terrain and protected from the north winds. 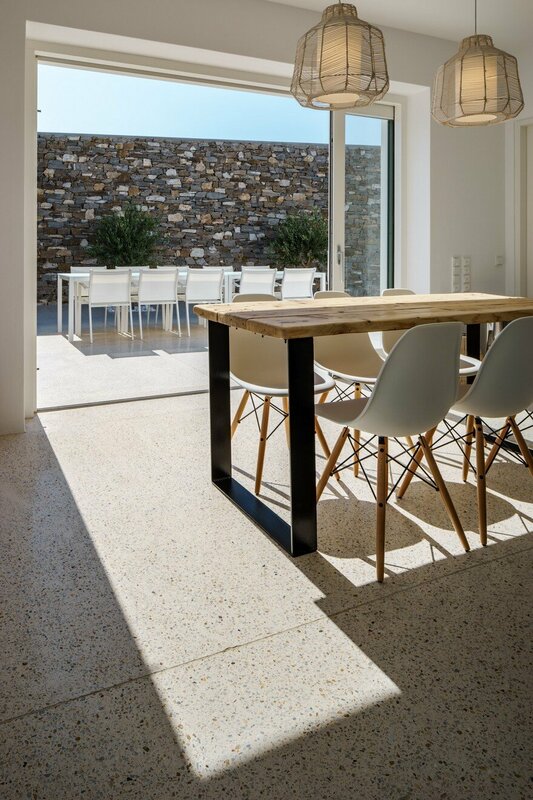 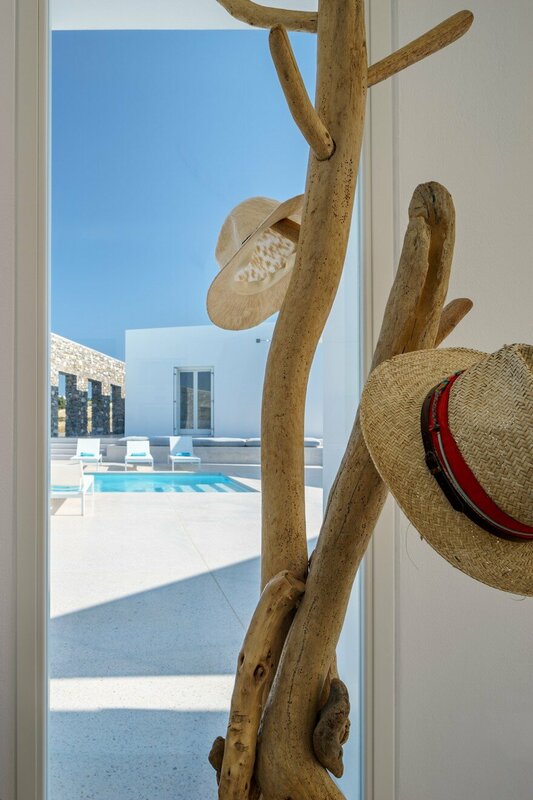 By employing the features of Cycladic architecture, we have designed an ensemble of buildings and a landscaping of the terrain adapted to the waterless Cycladic conditions, with a view to leaving the smallest possible footprint on the environment. 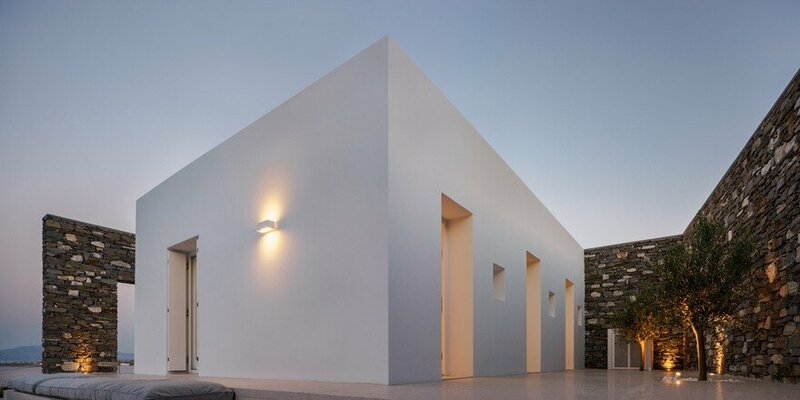 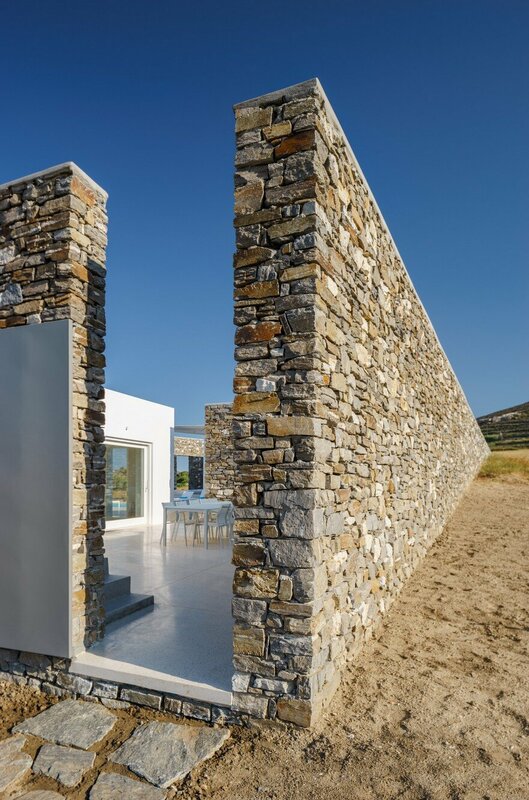 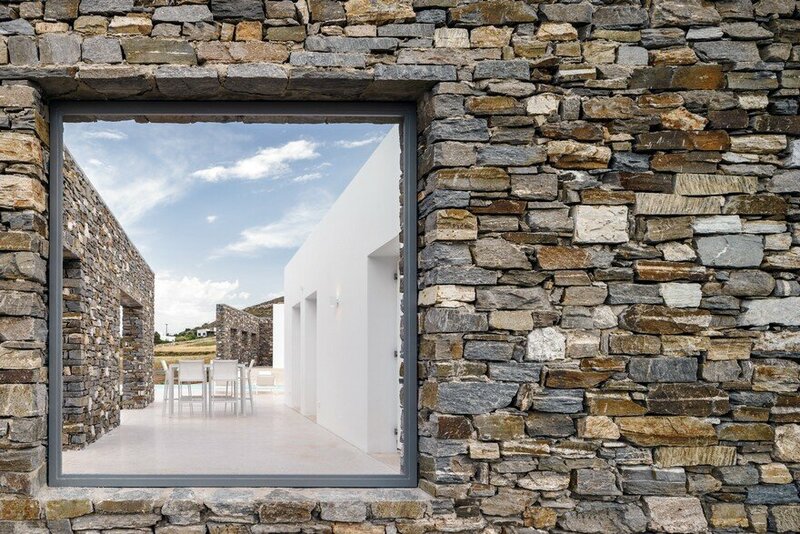 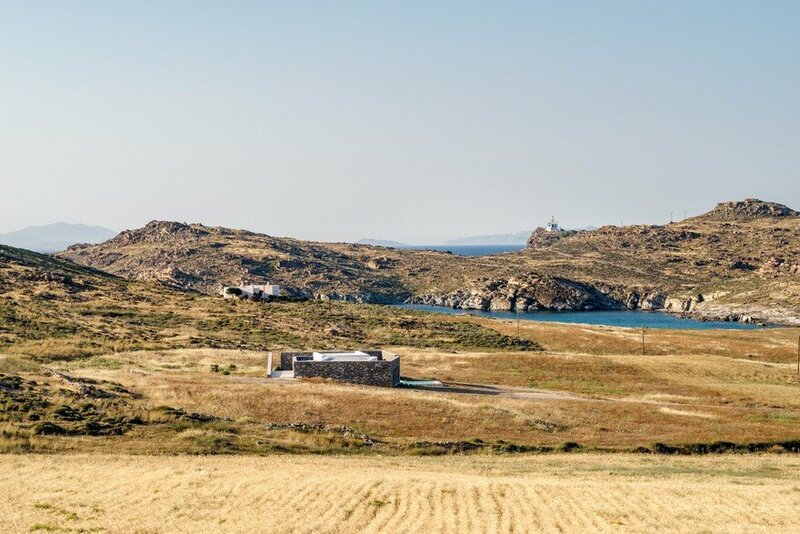 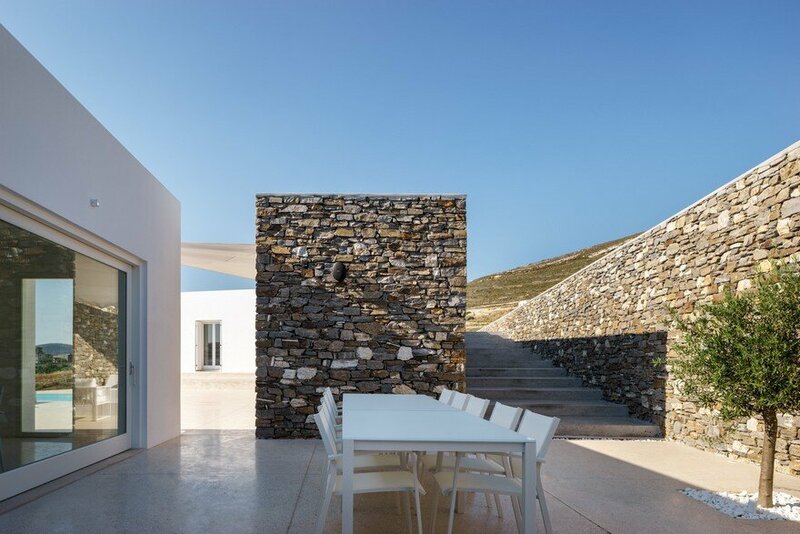 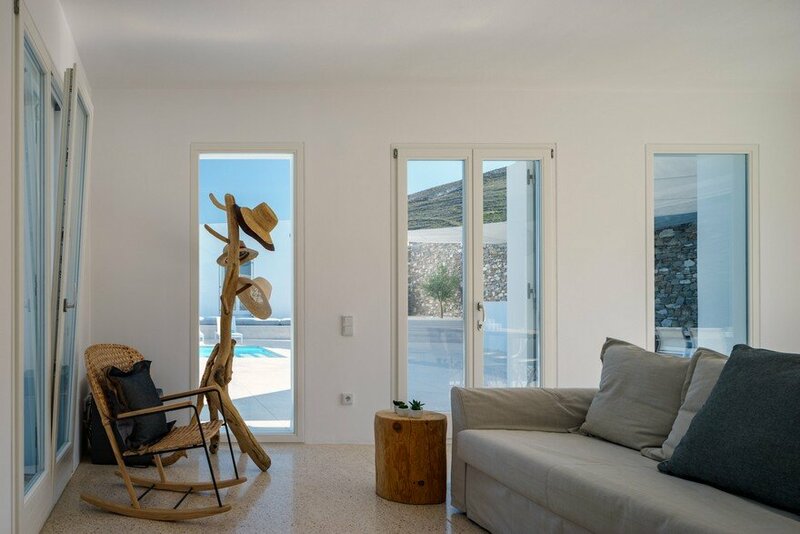 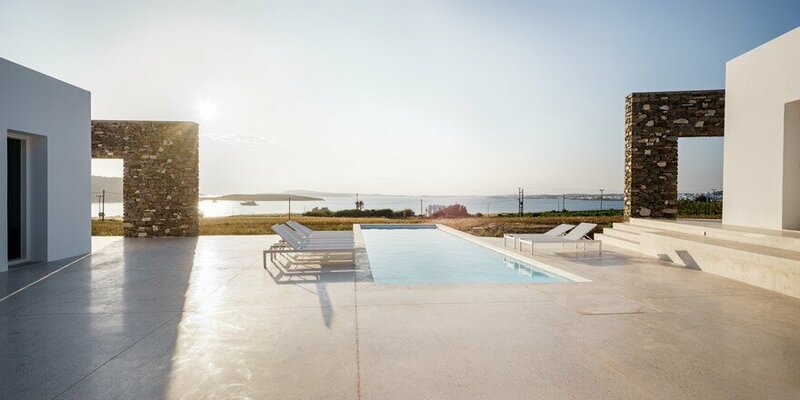 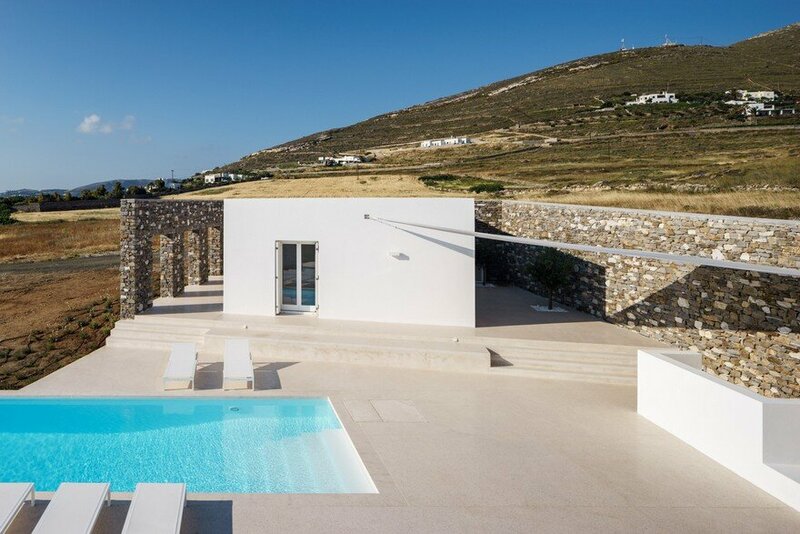 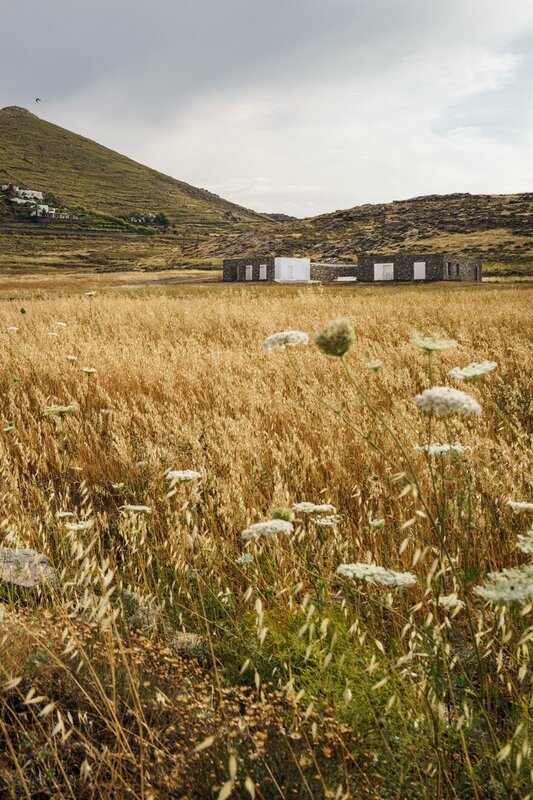 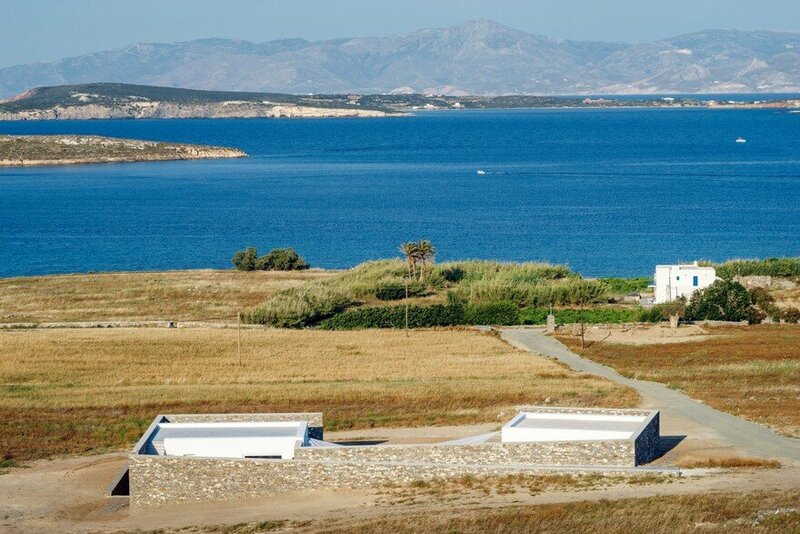 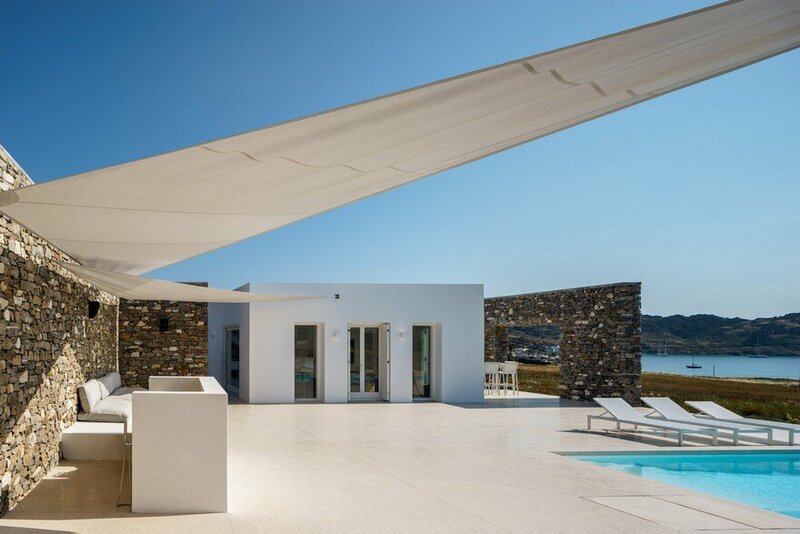 The transformation of the morphological features of Cycladic architecture with a view to creating a contemporary architectural language is, together with its integration into the natural landscape, the guiding principle of the design. 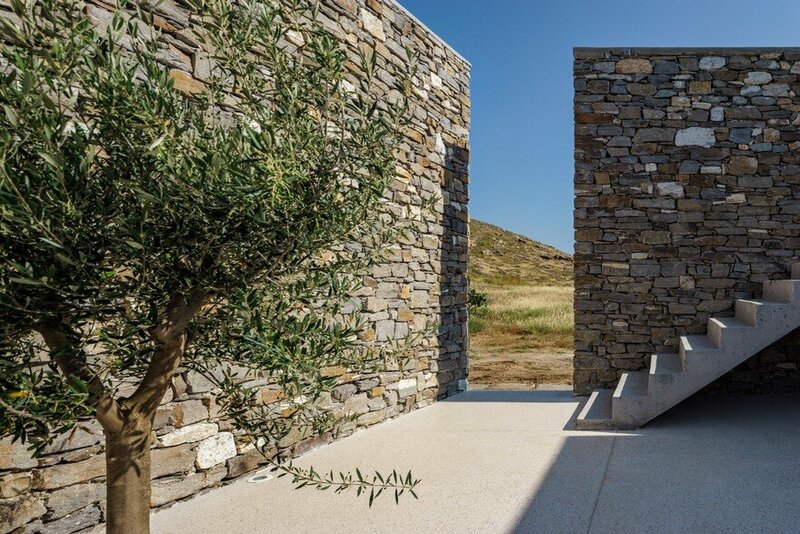 The totality of the intervention realised is in dialogue with the landscape and creates a space for habitation. 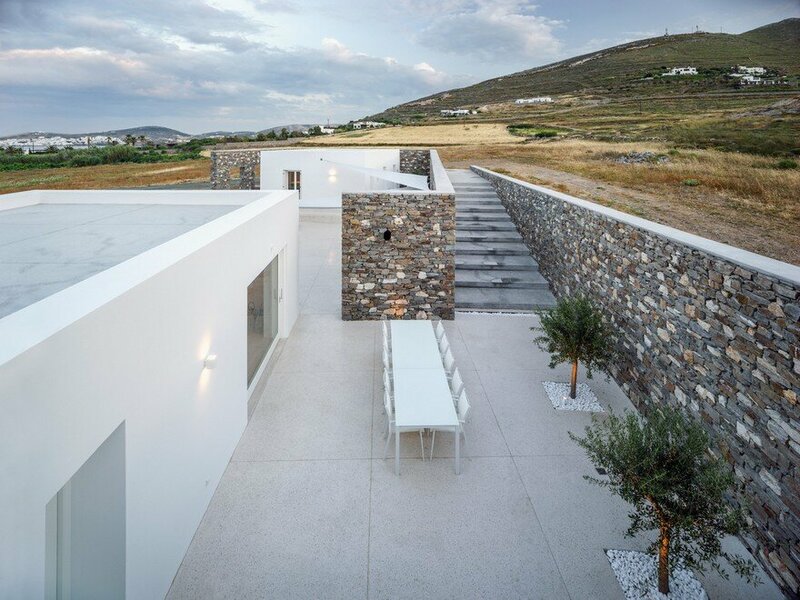 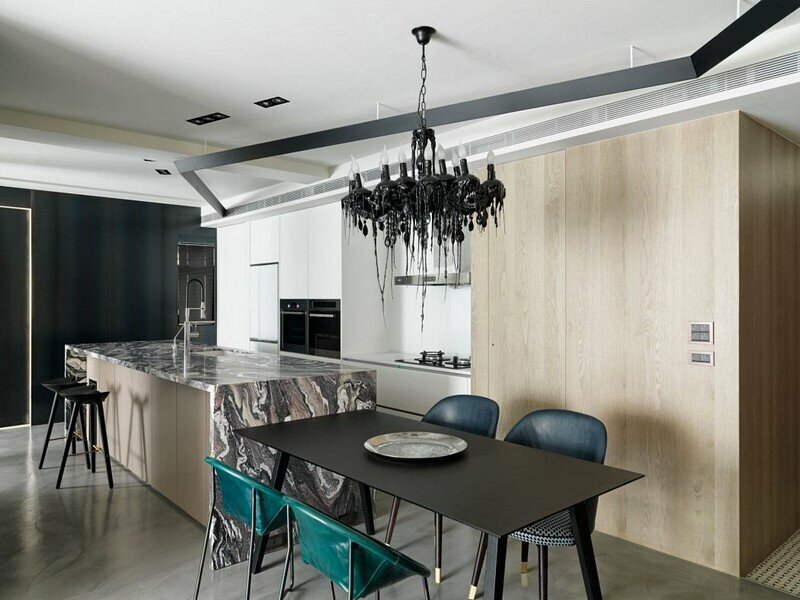 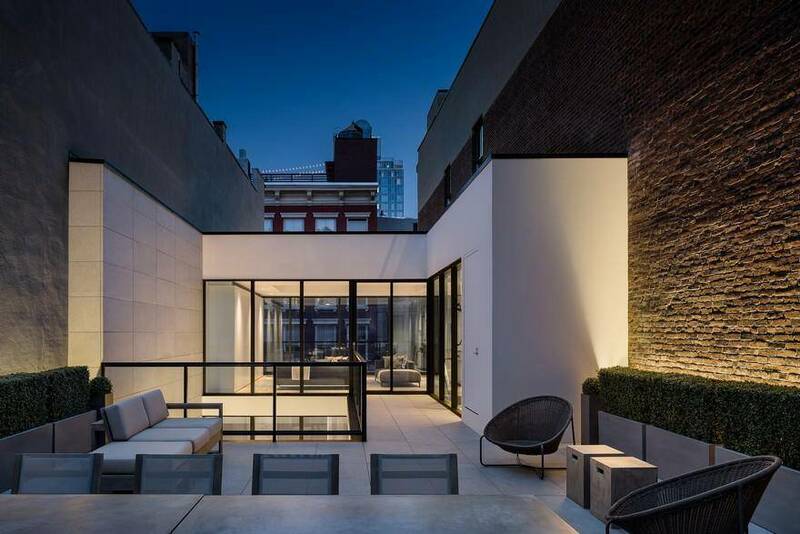 Βy breaking down the boundaries between the roofed and open-air space, it embraces human activity in creating a familiarity with the space and the locality.